Oathbringer starts up right where Words of Radiance left off. The Everstorm ravages across Roshar. The Knights Radiance need to unite the nations of the world the face this new threat. But Dalinar, the new leader of the Knights Radiance, has a dark and troubled past. In his youth, fighting to help his brother conquer the nation of Alethkar, he committed many acts of wanton destruction. How can the peoples of the world trust a man with such a bloodied past? As Dalinar seeks to unite, Shalan has to deal with her fractured psyche. As she delves into her illusionary powers, and creates new identities with which to spy, who she truly is becomes harder and harder for her to recognize. But Shalan cannot afford to fall apart. Not when the world itself is at stake. And Kaladin will have to learn a valuable lesson of his own, that tries he might he cannot protect everyone. Sanderson has delivered another epic door stopper to enthrall fans of epic fantasy. Oathbringer brings to life the characters of the world of Roshar telling us into the past of Dalinar. The characters are tested like never before as a struggle against the ultimate enemy of their world, a being of immense power and malevolent designs. 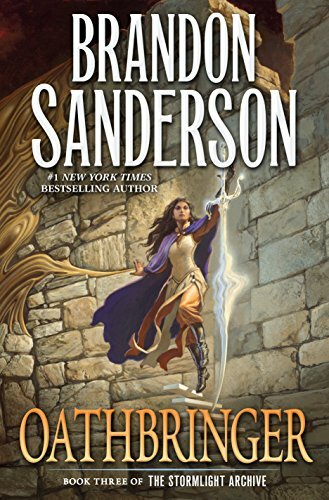 For fans of epic fantasy, Sanderson once again shows why he is one of the modern masters of the genre. 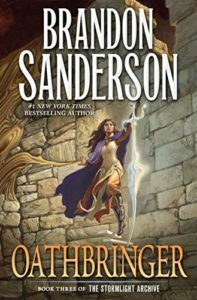 Oathbringer is a book that gripped you from beginning to end, letting you live in the characters heads, and bring them to life. This is a must-read book for all fans of fantasy. I can’t wait for the next exciting volume of the series.